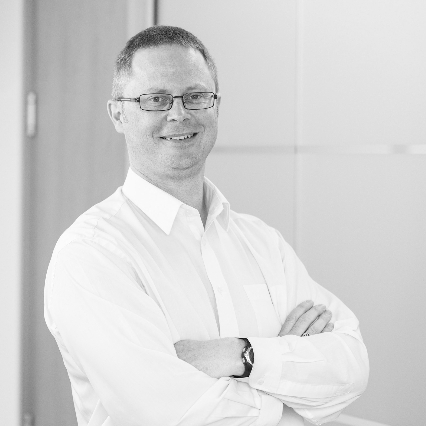 Andrew’s a technical director and leads our specialist Structural Engineering team from our Auckland office. Over the past 20 years he’s designed everything from pump stations and water retaining structures, to bridges and retaining walls. 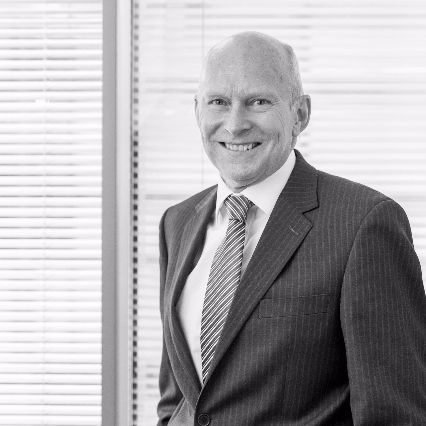 Now responsible for managing and coordinating structural projects for a number of private and territorial authority clients, Andrew’s driven by the camaraderie that comes with working at Harrison Grierson. He’s an expert in structural design, seismic engineering, earthquake assessment and strengthening. Andrew suffers from seasickness, but doesn’t let that stop him from sailing competitively every Wednesday night. Nigel is a Technical Director and leads the networks infrastructure team. He’s been managing our specialist network and infrastructure projects throughout New Zealand and the Asia-Pacific for over 20 years. Nigel’s worked extensively in water, wastewater and water resource engineering, particularly infrastructure assessment and design. Responsible for the management and coordination of many large multidisciplinary projects, Nigel conducts investigation, design, analysis, contract and project management for both private and territorial authority clients. David is a principal at Harrison Grierson, and a guest lecturer at Waikato University. He’s successfully managed many multi-office, multidiscipline land development projects from start to finish – always on time and budget. Despite over 16 years’ experience in land development and statutory planning, he’s yet to get his dream project off the ground – managing the redevelopment of the Augusta National Golf Course. With over 16 years’ experience both here and in the UK, Phil brings an abundance of know-how to Harrison Grierson. He’s involved with everything from strategic planning and land development, to resource consents and structure planning. So it’s not surprising that it’s the diversity of clients and projects that Phil loves most about his work. Phil’s managed a number of multidisciplinary projects, and been an expert witness in Council hearings and in the Environment Court. He’s currently lead planner for a number of projects in the South Auckland region. 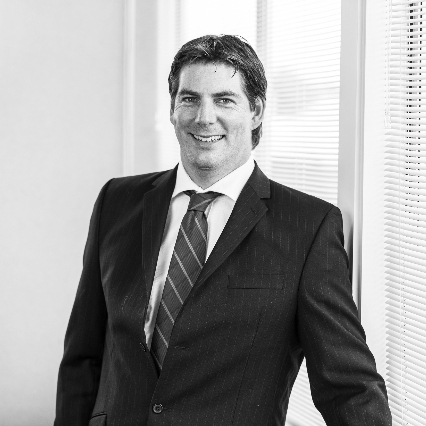 Shane’s a principal of Harrison Grierson and an expert on development projects for government agencies and private land developers. He manages key South Island clients and projects, in particular land development and surveying projects. His current role has allowed him to demonstrate and hone his skills in listening to our clients, understanding their needs and drivers, and developing the right solutions. 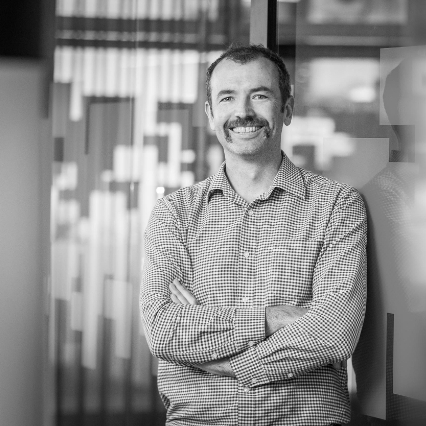 Based in Auckland, Steve’s responsible for leading the company's infrastructure teams. He’s also one of our technical directors. For more than 20 years Steve’s been planning, designing and implementing major multidisciplinary water infrastructure projects. In that time, he’s built a particular expertise in membrane technology. While he’s worked on hundreds of assignments throughout Europe, Australasia and the Pacific Rim, he ranks the project to bring water to New Zealand dairy farmers during the worst drought in 80 years among his most significant achievements. 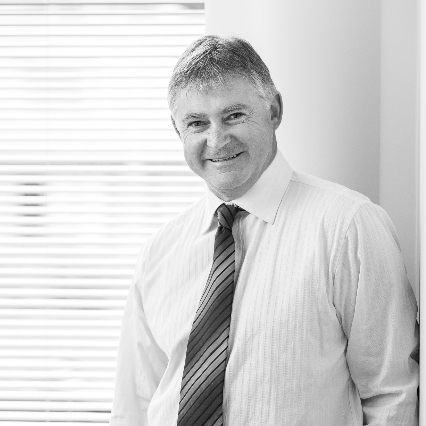 Based in our Auckland office, Mark has a 40-year career with Harrison Grierson. He’s developed high-level expertise in tenancy lease area surveys and building as-builts, including Green Star. He’s also spent 30 years learning guitar, although not to the same level of expertise as he’s achieved professionally. Today, Mark’s responsible for securing and managing a wide range of surveys for office, industrial, commercial and retail buildings across New Zealand. Simon’s one of our technical directors. With 25 years in the business, Simon’s experienced in all aspects of land development and civil infrastructure, including design, contract preparation, administration, cost planning, tender evaluation, project management and construction. He says the wide range of interesting and challenging projects at Harrison Grierson keeps him on his toes. Since becoming managing director in January 2012, Glen’s been steering our 133-year old company through significant transformation and growth. A passionate client champion, Glen enjoys working alongside highly engaged clients on a diverse range of projects. He regularly visits our clients and our nine offices across New Zealand. He’s excited about helping to turn clients’ visions into reality and making the world a better place for everyone. 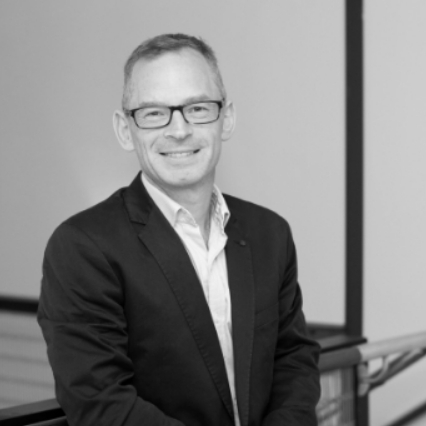 A highly experienced civil engineer with a Masters in Engineering, Glen’s a Chartered Professional Engineer, a member of the New Zealand Institute of Directors and an Associate of the New Zealand Institute of Management. He’s also a board member of Habitat for Humanity Christchurch. Glen was recently made a Fellow of the Institution of Professional Engineers of New Zealand (IPENZ) in recognition of his significant contribution to engineering. 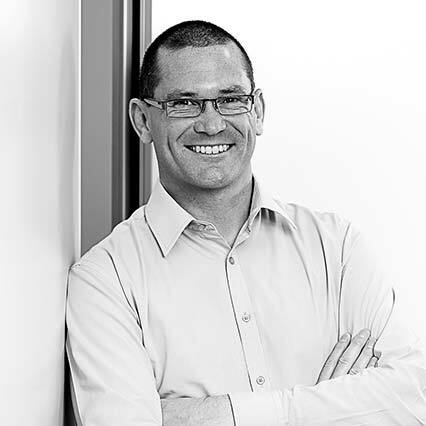 Based in our Tauranga office, Andrew is responsible for leading the company's planning and urban design disciplines. He’s also sector leader for Health & Education, and Transport - Maritime & Energy. Andrew is also the Bay of Plenty Vice-President of the Property Council of New Zealand. A good day in the office for John is one where he’s given his clients the best service possible to achieve their business goals and they’ve enjoyed working together in the process. A lover of fishing and good red wine, John considers himself fortunate to have a job that’s fun, with great clients and people to work with, and involves helping staff and clients to achieve what they want. John’s had 30 years in land development and civil infrastructure engineering, and he’s our sector leader for Land and Buildings - Residential. Mike is our Regional Manager - Northern and is responsible for the management of our Auckland and Bay of Plenty offices. Mike is a Registered Professional Surveyor based in our Auckland office and his experience is in the Land and Buildings sector leading and implementing major property projects in both the residential and commercial space. 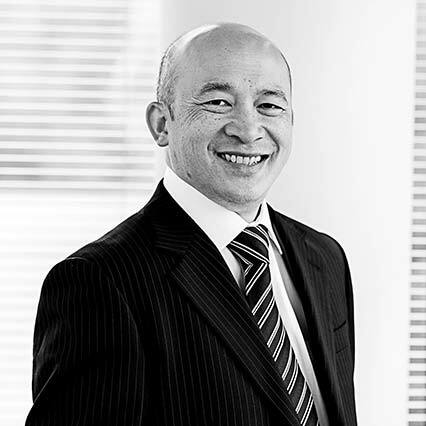 Mike’s works closely with our corporate clients advising on large property portfolios. He considers it a privilege to earn his clients’ trust and participate in their business objectives, opportunities and needs. 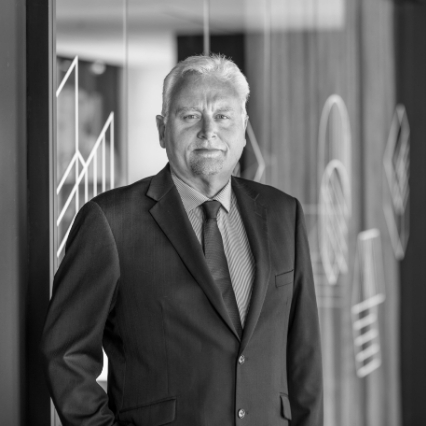 Mike has significant executive management expertise, is a member of the New Zealand Institute of Directors and was a Director on the Harrison Grierson Board from 2005 - 2018. 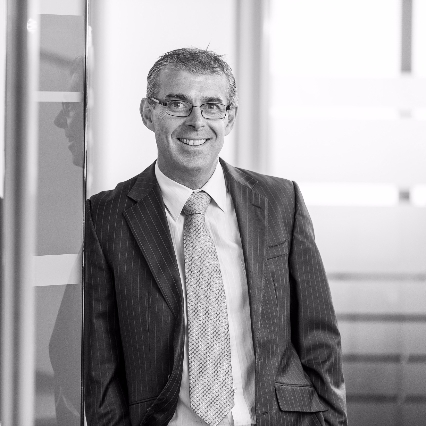 Poul has over 21 years of experience advising clients in the public and private sectors. He's an experienced manager who leads teams of planners and other consulting professionals on projects in the land development, commercial, residential, education and network utility sectors. Poul's one of our technical directors and recently returned to Wellington after four years working with Harrison Grierson in Brisbane. He has a Postgraduate Diploma in Business Administration, and a Master of Regional and Resource Planning (Distinction). Ash is a technical director at Harrison Grierson and leads our wastewater team in Auckland. He has a wide knowledge of treatment plant processes, after being in the industry for over 18 years, including eight years in Mumbai, India. Ash brings innovation and experience to the team. As well as process design and detailed engineering of wastewater treatment plants, he’s responsible for project delivery and staff management, including client liaison and team co-ordination. Ash’s qualifications include a BTech (Environmental), and a Master of Marketing Management, NMIMS. He’s a member of Water NZ and WEF. Clare’s highly experienced in statutory planning, particularly information requirements and preparation of land use and subdivision consents. She’s been involved in a number of major development projects, such as school halls, retirement village redevelopments and hospitals. 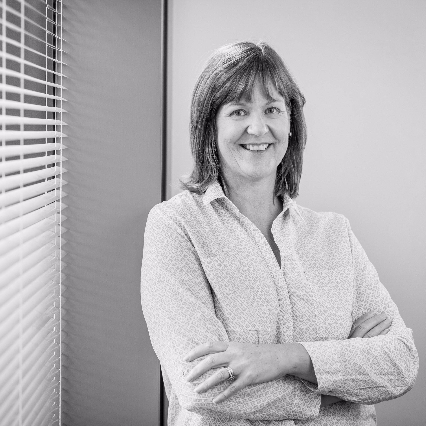 Clare’s a principal in our Auckland office, and has a BA (Hons) Town and Country Planning and a Bachelor of Town Planning. She's also a Member of the New Zealand Planning Institute. Melissa’s worked in New Zealand and the UK, and has a Bachelor in Landscape Architecture (Hons). She’s also a registered member of the New Zealand Institute of Landscape Architects. Her 13 years’ experience has involved a wide range of projects including landscape restoration and rehabilitation of rural land, coastal and riparian areas, and urban redevelopment. At HG Melissa is a Senior Landscape Architect and Principal. 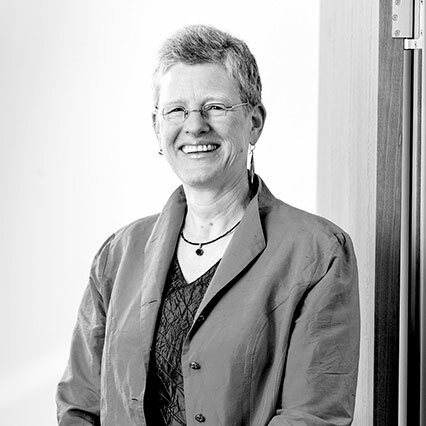 She was lead landscape architect for the campus re-development of the Bay of Plenty District Health Board’s Whakatane Hospital grounds; and the implementation of the Landscape Masterplans for Auckland Airport's Gateway and The Landing developments. Anita’s expertise include wastewater treatment process design, water treatment plant process design, trade waste bylaws and compliance and resource consents assessment of environmental effects. Based in our Auckland office, Anita’s a Chartered Professional Engineer (CPENG) and a Project Management Professional (PMP) (R). Her qualifications include a BEng (Environmental Engineering) and Environmental Law for Non-Lawyers (COP). She’s also a member of MIPENZ, Water NZ and WEF. Since coming to New Zealand in 2003, Ricky has gained an excellent understanding and knowledge of rentable area surveys and building as-builts for architectural design. She has become one of our key contacts for queries in these fields for both external and internal clients. Ricky has more than 30 years’ experience covering a wide range of survey work including set out, topographical and cadastral surveys. She is passionate about environmental issues and chairs our sustainability advisory group. Her German qualification is equivalent to a New Zealand bachelor’s degree. She is a member of the New Zealand Institute of Surveyors. David's a Technical Director at Harrison Grierson and leads our engineering team in Tauranga. He’s had 25 years’ experience as a consultant, involving a wide variety of projects for clients from central and local government to commercial and industrial, and private individuals. David’s managed many large projects and taken lead technical roles in others. His areas of expertise are infrastructure management and reticulation design, stormwater management, wastewater handling and treatment, project management and land development. David has a BEng (Civil) (Hons) and a CPEng, and is a member of IPENZ, WaterNZ, IPWEA and NZ Geotechnical Society. Megan’s had extensive experience providing landscape architectural input into a wide range of multidisciplinary projects at all stages of development. She’s an expert on feasibility studies, landscape and visual assessment, master planning, comprehensive landscape development plans, site planning, planting plans, tender documentation, soft landscape project management and contract supervision and maintenance and management plans. Megan has a BArch (Hons) and is a member of the NZILA. Nev has over 14 years’ experience in land development and civil infrastructure projects with Harrison Grierson, principally managing projects in the public, residential and commercial sectors. He has extensive expertise in civil design and construction (roads, earthworks, stormwater, sewerage, water supply, servicing) and managing multidisciplinary projects and comprehensive urban design. Jeff is developing and leading our business application strategy to ensure Harrison Grierson provides our clients and staff with software and process solutions of the highest quality. He's a licensed cadastral surveyor and a NZIS registered professional surveyor, and was previously our Wellington manager. Jeff's known nationally for his work as the survey profession’s champion in the development of Landonline, an international first in digital national land information systems. He's also a past President of the NZ Institute of Surveyors, with a strong sense of professionalism and client focus in technical work and across the commercial realities of multidisciplinary projects. Since her appointment in late 2011, Karen’s worked closely with our managing director on a range of transformational projects. This culminated in March 2014 with the launch of our new visual identity, reflecting the significant positive change we’ve undergone. Karen’s passionate about our brand strategy, our brand values and our company image. 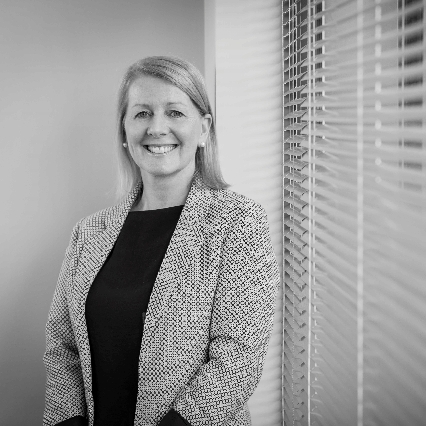 She’s been the key driver of our focus on clients and exceptional service delivery and has made these a fundamental part of life at Harrison Grierson. A member of the management team, Karen’s strategic advice is required across all aspects of the business. Her exceptional performance as a senior manager is reflected in her appointment to the Harrison Grierson Board. Craig describes himself as a change catalyst who thrives in changing environments and business transformations. Craig’s committed to maximising the potential of all our staff, at all levels. He leads the development and implementation of programmes, initiatives and tools which accentuate best practice and help us to reach new levels as an organisation. This includes our change initiatives around technology and culture. He’s also responsible for leadership development and staff engagement at all levels. Craig was recently appointed to the Harrison Grierson Board as an Emerging Director for a 12 month term. Margaret created Harrison Grierson history when she became our first independent director in August 2011, and then our chairman in 2012. 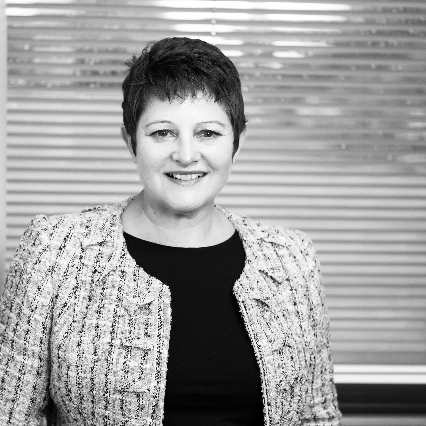 A respected business leader, Margaret’s highly successful track record includes more than 20 years at senior executive and director level in the infrastructure and retail sectors in New Zealand and the UK. Margaret is chairman of Watercare Services Ltd and of WEL Networks. She’s also Chairman of the Women in Infrastructure Network and Titanium Park Ltd. Margaret’s a director of Meteorological Services of New Zealand and the Waikato Regional Airport Ltd. She’s a government appointment to Wintec, the National Infrastructure Advisory Board and a Chartered Fellow of the Institute of Directors. A professional engineer with extensive experience as a company director, project director and consultant, Elena specialises in change management, asset management and contract procurement. Also, project development and implementation of large scale infrastructure developments - particularly energy and transport. Elena’s a director of Contact Energy Ltd, Marsden Maritime Holdings Ltd, and the Energy Efficiency and Conservation Authority. Elena is also a member of the Unitec governing council. She has recently completed her term as President of the Institution of Professional Engineers of New Zealand (IPENZ), the second woman in its 100 year history to hold the position. Brian is an experienced professional director with a wealth of experience from a range of private and public sector roles. Brian is Chairman of Buller Holdings Ltd and Canterbury Linen Services Ltd. He is a director of Dunedin City Holdings Ltd, Westport Harbour Ltd, Westreef Services Ltd, Dunedin City Treasury Ltd, the Lyttleton Port Company Ltd, Buller Recreation Ltd. Brian’s also chairman of the Christchurch City Council’s project steering groups for the Library and Town Hall rebuilds. 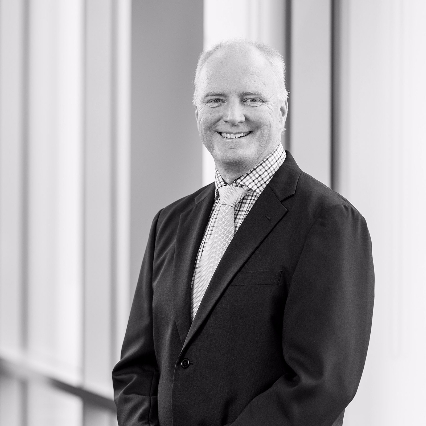 A former managing director Asia Pacific for the global civil engineering consultancy MWH, Brian’s also been chief executive of the Southland District Council and CFO of Dunedin City Council. He’s an accredited company director, a fellow of the Institute of Directors in New Zealand, and a fellow of the NZ Institute of Management. Nick’s a problem solver who takes pride in delivering services on time and helping to ensure a project’s success. He’s been involved in many nationwide land development and utility projects. This involves working with a wide range of infrastructure providers and property developers providing feasibility advice, securing resource consents and acting as an expert planning witness in Environment Court appeals. Nick's a full member of the New Zealand Planning Institute and the Resource Management Law Association of New Zealand. He’s also a big sports fan and an avid golfer. He recently retired from playing top grade cricket after more than a decade. After 20 years of survey experience, Josh is happiest watching a project being built (as a big All Blacks fan, working on the Eden Park redevelopment for the 2011 Rugby World Cup was a highlight). He particularly enjoys working closely with clients on new projects and using the latest survey equipment and software to ensure they achieve the results they want. Josh specialises in tenancy area measurements for lease documentation, unit title, building as-built for design purposes, building set out and monitoring of structures for movement. He has a National Diploma in Land Surveying and at HG is a Senior Surveyor and Principal. Richard’s a highly accomplished chartered engineer and project manager. He joined us from Watercare in Auckland, where he successfully managed a range of major multidisciplinary projects. He was previously a water and wastewater design engineer in the UK. 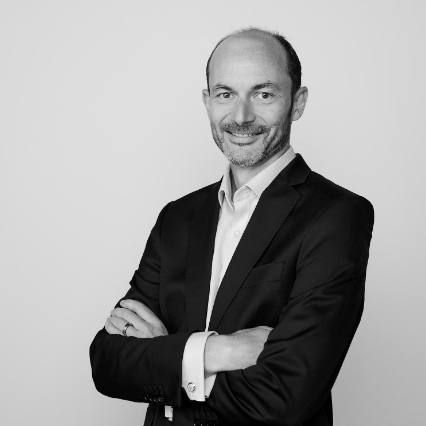 A strong believer in the ambitions and goals of our company, Richard says it’s exciting to be leading his team at such a critical time in land development. Richard is a member of the management team, Charirman of our Health and Safety Committee, and is an Executive Director on our Board. Richard has a Bachelor (Hons) Civil Engineering and a NZIM Diploma in Managerial Excellence in Engineering and Construction. Glen’s based in our Christchurch office and manages our South Island and Wellington teams. A planner with over 20 years’ experience in professional consultancy, Glen’s previously chaired the professional services advisory group to SCIRT and was a project director for the Avon River Precinct redevelopment project; the first anchor project let in Christchurch. Glen’s a member of the NZ Planning Institute, a companion to the Institution of Professional Engineers NZ, a member of the Institute of Directors, past president of the University of Waikato Alumni Association, and a trustee of the University of Waikato Foundation Board. Jenson’s a principal with over 15 years’ consulting experience providing specialist engineering advice to private, commercial and local authority clients. He has extensive experience in land development and infrastructure engineering services, particularly local authority and site works. This includes project management of multi-faceted development projects involving engineering design, procurement, contract management, and risk management in the residential and commercial sectors. When he’s not working, Jenson is a keen mountain biker and runner. Based in our Tauranga office, Grant is the team leader of our growing Bay of Plenty Land Development team. Grant’s expertise includes project management, subdivision design and construction, general civil engineering and contract management. He’s kept busy with the design and contract administration for a wide variety of land development projects – including residential subdivisions, civil infrastructure, retirement villages and reserve developments. Grant is a principal of Harrison Grierson and has a BEng (Civil) (Hons). Matthew joined us from NZX listed Trilogy International Limited where he was Group Financial Controller. 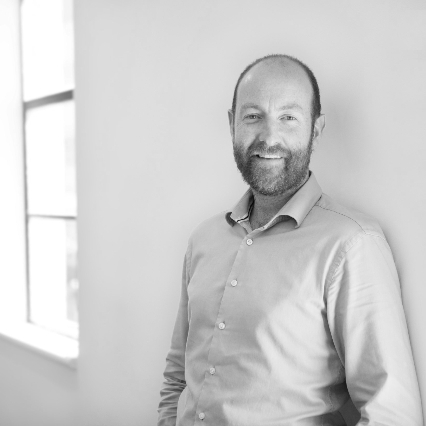 A chartered accountant with over 20 years’ senior financial expertise, Matthew’s worked in high-level positions in Auckland, Seattle, London, Dublin and Central Europe. His experience includes manufacturing, private equity real estate development and investment, asset and property management. He’s been involved in international and dynamic companies and sectors, including mergers and acquisitions. He’s also worked in sports administration for the Auckland Rugby Football Union and the Blues. As well as responsibility for Harrison Grierson’s financial management and reporting, Matthew provides leadership across the company, understanding all aspects of the business and the impact on our financial and operational performance. Warren’s impressive background includes complex international reconstruction programmes in Iraq, Afghanistan, India, and Sri Lanka. He's also worked extensively in the United States and New Zealand. Warren joined Harrison Grierson from the Canterbury Earthquake Recovery Authority (CERA). While at CERA he served as Technical Manager for Infrastructure from 2012-2013 and then as Manager of Engineering Programme - Infrastructure from 2013-2015. The winner of two prestigious American Planning Association Awards (Outstanding Federal Planning Project in 2008, and Outstanding Federal Planning Programme in 2011), Warren’s experience includes effective programme management, prioritisation, business case funding, and delivery. Warren has a BSc Engineering with professional credentials as a Professional Engineer (GA, CO, TX, MO), CPEng (Civil, Environmental), IntPE (United States and New Zealand) and LEED AP-ND, PMP, and BBC Practitioner. Simon’s an international water expert from the UK. His extensive experience in the water sector includes five years at Watercare in Auckland, where he was the Group Manager – Infrastructure New Development. Among other roles, Simon’s consulted to the Water Research Centre (a leading UK research provider to water industries worldwide). He’s also audited the Northern Ireland Water Services 30-year Water Resources Strategy and was Supply Demand Manager for Anglian Water Services Limited. 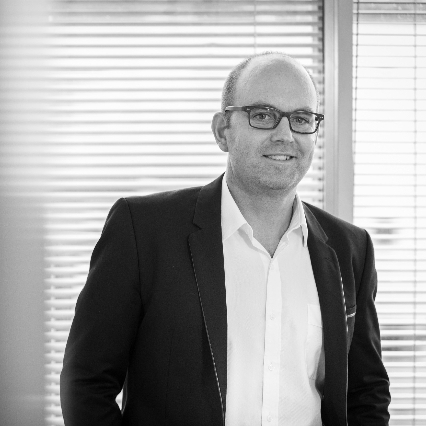 Simon holds a BEng (Hons) and is based in our Auckland office. James’ role at Harrison Grierson is to strengthen our position in major projects in the public sector. James is a highly qualified civil engineer with an infrastructure project and senior business leadership background. He’s worked in high-level roles in the buildings, rail, water, utilities and aviation sectors for over 20 years. James was formerly the General Manager, Construction at Transfield Services NZ Limited. Before that he was Country Manager for John Holland (NZ), an Australasian engineering services company, which formed part of the Leighton Group. James has a BEng (Hons) in Civil Engineering; a Master of Engineering Studies in Transportation; and an MBA in International Business. He’s also a fellow of ICE - Institution of Civil Engineers (UK). Daniel’s been designing and managing land development projects in the residential, commercial and industrial sectors since 1994. 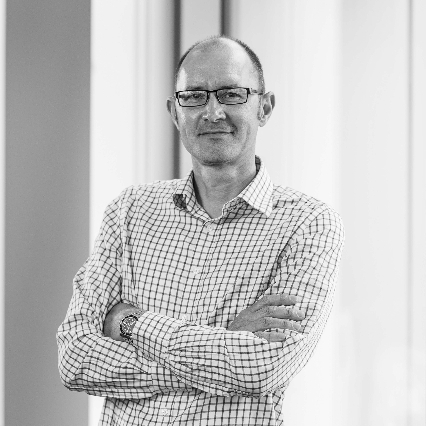 A principal in our Auckland office, he’s had over 20 years’ experience in the land development and infrastructure fields in both New Zealand and the UK. This includes earthworks, sediment control, drainage, pavements, water supply and services associated with land development, especially in the Auckland area. Daniel’s also skilled in public relations and consultation. 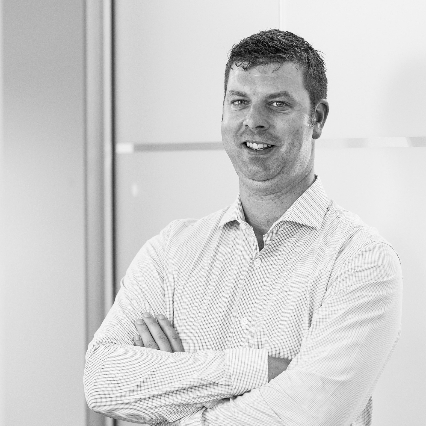 Based in our Auckland head office, Darryl's a senior surveyor and a project manager within our Survey team. With over 30 years’ experience, he has developed expertise in subdivision project management and working with multidisciplinary teams. As a survey team leader, Darryl takes a lead role on managing a wide range of survey projects. He has a particular interest in high density subdivision and is currently project managing the Hobsonville development. 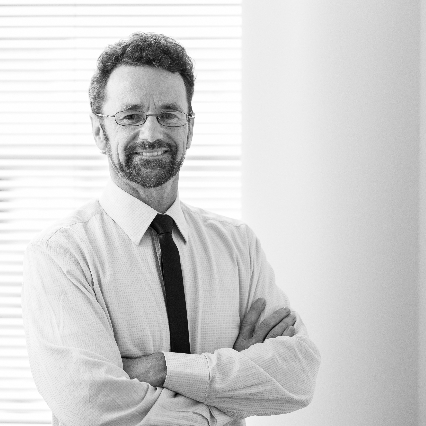 Darryl's a principal at Harrison Grierson, and is a member of the NZ Institute of Surveyors. Previously in our Christchurch office, Clare was the senior surveyor for the 114 ha Waterloo Business Park and provided consultancy services to the Canterbury Earthquake Recovery Authority for CBD redevelopment projects. Now in Auckland, she’s busy with rapidly growing Special Housing Area projects. Clare holds a Bachelor of Survey from Otago University, is a Licensed Cadastral Surveyor, and is studying towards an MBA through Edinburgh University School of Business. Daryl leads our Auckland survey team and has been part of this successful, tight knit group for over 20 years. His Aikido and Tai-chi training brings a centred and calming yet focused disposition to the survey project work flow. A Licensed Cadastral Surveyor and Registered Professional Surveyor, Daryl has expertise in strata subdivision and unit titles. He also works closely with our construction set-out and commercial development experts. Dan’s been playing drums in a punk rock band for over 25 years. He’s also been working in our Auckland survey team for over 19 years. Dan started with us as a survey assistant; he’s now a project manager and team leader and specialises in large scale subdivisions. Dan’s excellent general knowledge of surveying is backed by a National Diploma in Land Surveying. Michael has an eye for detail, which shows in his outstanding project management. As the Survey Manager and Principal in our Tauranga office, his experience spans over 20 years. He’s worked on small two lot subdivisions to multi-lot, multi-stage subdivisions, and everything in between. Michael’s also expert in legalisation and Maori Land surveys. He’s a Licensed Cadastral Surveyor and Registered Professional Surveyor. If he’s not busy designing something or mentoring the younger members of the team, Ross is probably out coaching his two boys on the football field. 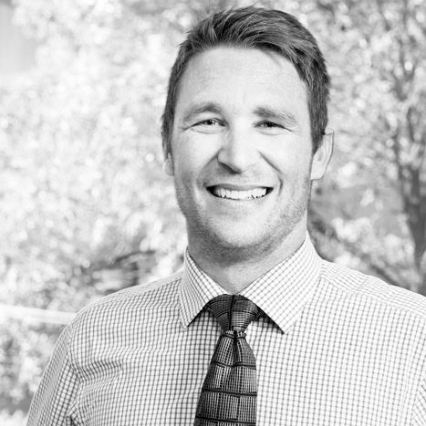 Based in our Tauranga office, Ross is a senior member of the land development team. His expertise is largely in land development design. This includes subdivision layout, earthworks modelling and civil infrastructure using 14 years of experience with the design software 12d Model. Ross is an associate of Harrison Grierson, a Registered Professional Surveyor and has a BSurv. 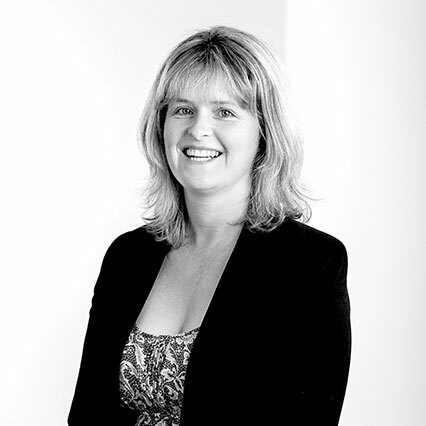 Kelly is solutions focused and has 16 years of planning experience in NZ and the UK. She’s been involved in all statutory planning processes, including large scale residential projects requiring consenting strategy and liaison with Council Officers to ensure a cost-effective and innovative approach to the development. Kelly uses her broad experience to successfully collaborate with clients and Council, and she has a keen interest in adding value through sustainable design. Kelly's a full member of the New Zealand Planning Institute and a member of the Sustainable Society and the Property Council. Ian’s a firm believer in building trusting relationships with our clients. A senior process engineer and an HG Principal, he’s an integral part of our award-winning water and wastewater treatment team. Ian specialises in wastewater treatment plant design, plant auditing, infrastructure master planning, plant commissioning and operational support. He’s delivered multidiscipline projects and led numerous audits of water and wastewater treatment facilities in both Queensland and NZ. Ian has a Master of Engineering and holds CPEng and RPEQ registration. He’s also a member of IChemE, WaterNZ, WEF and IAM, and is working towards a formal asset management qualification. 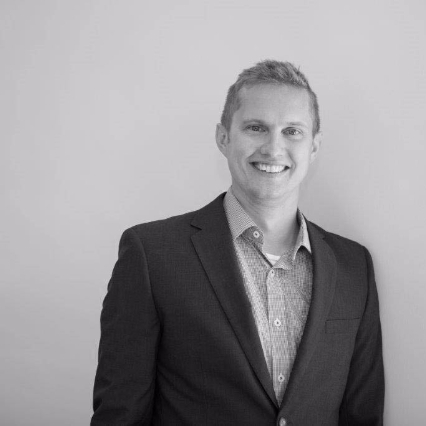 A senior urban designer with more than 10 years at Harrison Grierson, Sam has a broad range of design skills and specialises in the design of multi-unit residential developments. He confidently leads the urban design inputs to some of New Zealand’s largest masterplanning projects. Sam is passionate advocate of new technology and utilises an interactive design process to optimise and communicate design solutions to the project team. World travel is great source of inspiration for Sam. On the home front he is actively developing hands-on construction experience through DIY projects. A big picture thinker, Rachel recently returned home to Christchurch after 16 years in Melbourne, where most recently she managed a large strategic planning team for an inner city council. 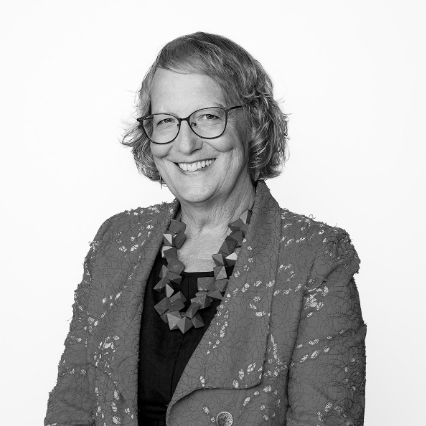 With over 20 years’ planning and leadership experience in the public and private sectors in Australasia, Rachel specialises in strategic planning, including preparing land use and development policy, managing multidisciplinary studies and contributing to business cases. Rachel’s strong local government track record includes senior roles for the Dunedin City Council, Kaikoura District Council and Stonnington City Council (Melbourne). She’s had extensive experience preparing and assessing resource consent applications in the government, water, infrastructure and transport sectors. Rachel has a Master of Science (Hons) Natural Resource Management. An aspiring keel boat sailor, Mike’s a Scotsman who’s been living in Christchurch since 2005. Joining NZTA after arriving in Christchurch, his later work has included secondment into the Stronger Christchurch Infrastructure Rebuild Team (SCIRT) as Civil Project Team Leader. More recently, he’s been heading urban development and transportation teams and projects. Mike joined Harrison Grierson in January 2017 to head our Christchurch civil and survey team, and lead the team in applying innovative survey and engineering technologies to provide the best solutions for our clients. He’s a Chartered Professional Engineer (CPEng) and a Chartered Civil Engineer registered with the UK’s Engineering Council (CEng). Mike has a ScotVEC National and Higher National Certificate in Civil Engineering from Stow College, Glasgow. 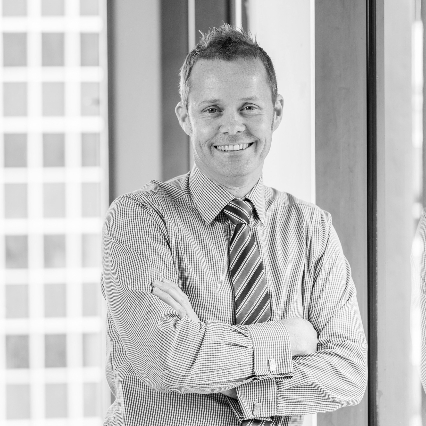 Lee heads a growing team of planners in our Tauranga office, where his public and private sector experience brings a depth of knowledge and expertise. Formerly a senior planner at Tauranga City Council, Lee has over 12 years’ experience in resource management and local government. His resource management experience includes statutory, policy and strategic planning. He’s provided planning services to numerous consent authorities, and has led and project managed large multidisciplinary projects in the private sector. After hours, Lee’s kept busy by two young daughters, and playing golf and soccer. 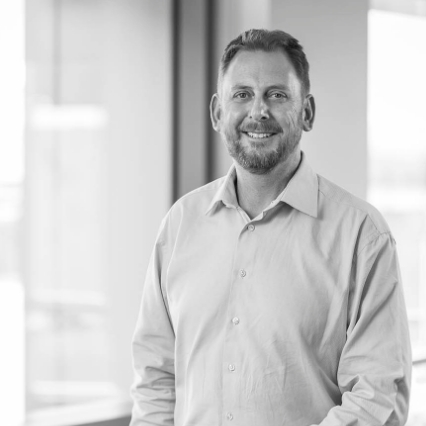 Based in our Tauranga office, Bradley has in depth experience leading and managing both the Buildings and Infrastructure teams, providing design input and leading multi-discipline projects in the commercial, civic, residential and industrial spaces. Bradley has grown and developed the market share of HG in both technical fields in the Bay of Plenty, and has successfully cultivated two successful and effective teams. He has 11 years’ experience and has worked in the UK, Australia and NZ. Originally from the UK, he has a BEng (Hons) (Civil) University of Portsmouth, England. Bradley's also a keen motorcyclist and a proud father of young twins. 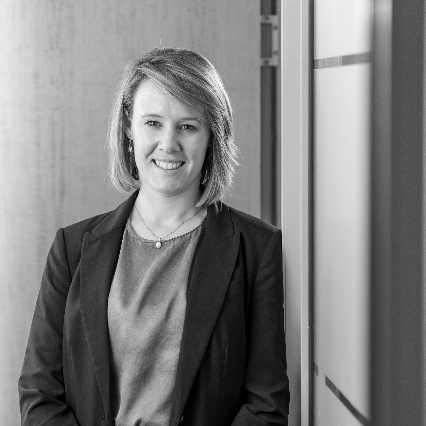 Sarah assists our Wellington and Christchurch teams to achieve the best possible results on every project by advising on good commercial and financial practices. An associate of Harrison Grierson, Sarah uses her 11 years’ experience in business administration and her operations manager background to support our project managers to deliver successful outcomes. Sarah enjoys playing a part in our projects, and finds it rewarding to see them completed when she’s out and about in both cities. Rob loves subdivisions and any project involving diggers and trucks. His dream project involves working on the expansion of a tropical resort marina from a project office located in a 51ft ketch moored on site. A principal of Harrison Grierson, Rob works across the HG teams to deliver our clients civil engineering solutions that he is proud of. Rob has 23 years’ experience and a MSc (Project Management in Construction) and BSurv. An experienced planner, Ben joined the HG team in 2017 to manage our Hamilton office. 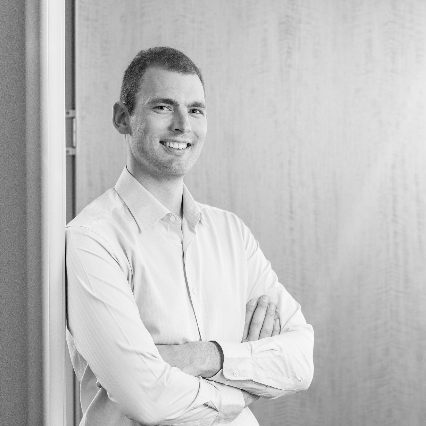 Ben is driven by his passion to help clients achieve the best possible outcome for their projects. 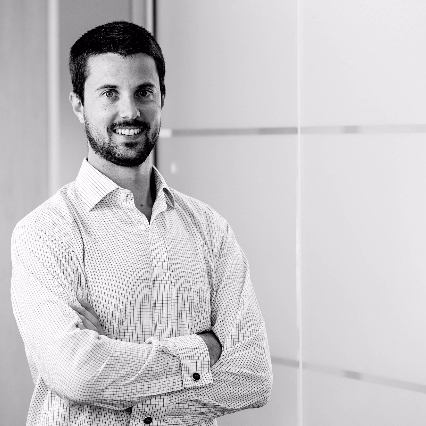 Ben is highly skilled at managing project teams on multi-disciplinary projects, and has a wide variety of expertise in land development, infrastructure, policy and consent planning. Ben is also an elected member of Hamilton City Council's Urban Design Panel. Outside of the office, Ben is a keen sports fan - especially rugby, touch rugby, cricket, and golf. Gillian is HG's Environmental Lead and Associate based in our Auckland office. Gillian has more than 20 years' experience working with the public and private sectors on resource management projects. Gillian's breadth of experience runs over multiple disciplines including strategy, policy, environmental science, regional planning and stakeholder engagement. Alistair is Queenstown based, creating an immediate presence for HG in the region. As a civil engineer, Alistair brings over 25 years of experience both on local and international projects. He provides expertise across a range of sectors including commercial, retail, and residential, public works, telecommunications and infrastructure. One project that Alistair is most proud to have worked on is the Sidra Medical Research Hospital in Qatar, Middle East. The project embraced new and cutting edge technologies to enhance patient treatment and care. Outside of work, you will find Alistair either skiing, fishing or out walking. An international expert in urban regeneration, Hayley worked on high-profile major projects in London for 20 years before returning home to join HG. Hayley’s proud that her UK work leading multi-disciplinary teams to redevelop brownfield and constrained sites helped create thousands of new homes, including affordable housing; new jobs; and great public and private amenities. She’s looking forward to sharing her specialist expertise across NZ, helping provide solutions to our own housing shortages and urban regeneration issues. Hayley has a Master of Science (Hons) from the University of Auckland and is based in our Wellington office. 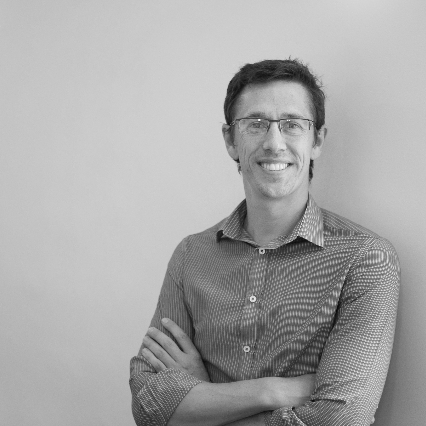 Simon is passionate about the role spatial can play in connecting, managing and visualising information related to land, the environment and property. As General Manager - Spatial, Simon is committed to delivering better outcomes for clients through adding spatial processes, technology and data to services. Prior to HG, Simon was the Director of e-Spatial, where he was most proud of the longevity of the projects he had been involved in, for example, supporting NZ Police for nearly 18 years. Outside of work, Simon is first and foremost a basketball fan and overall sports junkie, claiming he will watch anything that shows off high skill levels and determined effort. As a Senior Civil Engineer and Associate, Kane is responsible for designing, managing and running large civil projects as part of our Land Development team. Kane has over 15 years’ experience in civil design works and has successfully delivered numerous civil projects including business parks, carparks, subdivision, water, wastewater, landfill, rail and roads. Kane prides himself on his dedication to clients and delivering a great product in a timely manner. He also enjoys mentoring younger staff and reviewing drafting and design work. Outside of work, Kane is a keen motorsport fan. On the weekends you will find him getting along to as many car shows, circuit racing, rallying and drifting events as he can. If he had a ‘dream project’ it would be working on a racing car circuit for the V8 super cars or F1. Jamie manages a team of structural, building services and telecommunications engineers and designers in our Wellington office. He has a background in project, design and contract management of telecommunications, buildings and infrastructure projects, and was the technical leader for our team working on the Rural Broadband Initiative (RBI1) - which helped deliver 154 new mobile towers and the upgrade of 380 existing sites over a 5-year period. Jamie's a Project Management Professional (PMP) and a member of the Project Management Institute of New Zealand (PMINZ). 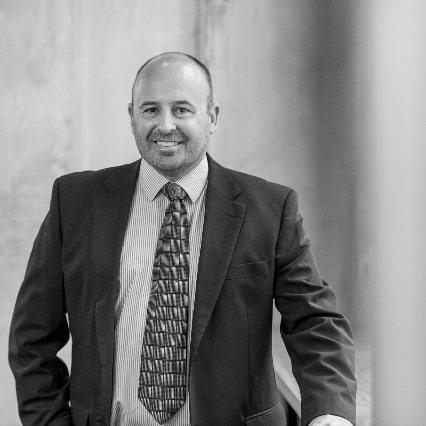 Allan’s background includes over 17 years in the UK providing structural and civil engineering solutions for local authorities, educational institutions, airports and private developers. One project Allan is most proud to have worked on is the University of Aberdeen's Rowett Institute for Nutrition and Health building. He oversaw the structural design and the construction stage for the new laboratory and research facility, located in the heart of Aberdeen Royal Infirmary’s campus. Since moving to NZ in the summer of 2016 and joining our Christchurch team, he’s been involved in earthquake inspection, strengthening and repair works, along with providing structural solutions to the residential and commercial sectors. He's also developed a real taste for skiing, and even become a keen rugby fan. Scott joined Harrison Grierson eight years ago as a Planner, before becoming a Project Manager in 2016. He's also an Associate at HG, a Certified Associate in Project Management from the Project Management Institute, and a full member of the New Zealand Planning Institute. At HG, Scott leads multidisciplinary teams on residential developments from the feasibility stage to construction and completion. Outside of work, Scott is an active sailor and mountain biker. He also plays the bagpipes in a pipe band and is often called upon for weddings and other events. Holger has over 17 years experience across the engineering, product development, power generation and water industries. 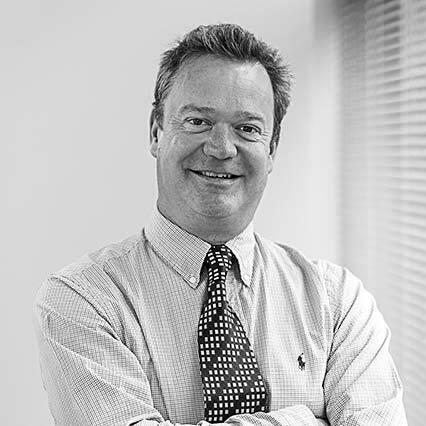 At Harrison Grierson he is an Engineering Solutions Manager and Principal, and is extremely passionate about delivering practical engineering solutions to his clients. While Holger enjoys working on all projects, particular highlights include delivering the Hobson Wastewater Pumping Station for Watercare, and working on the Multifuel Plant in Ferrybridge in the UK. Outside of work, Holger enjoys sailing on the Waitemata Harbour and Hauraki Gulf. Shane manages our traffic and transportation design team, and provides QA on all designs and drawings leaving the office. He prides himself on quality project delivery - from project documentation, to the finished product. Shane has managed a wide range of traffic and transportation projects both in New Zealand and abroad. His design work covers all project phases from client idea through to construction. Shane's strengths in constructability, value engineering and risk management are backed up by many years of road design and construction experience. Meredith has considerable experience in transportation investigations, traffic engineering and safety auditing in NZ, Australia and the UK. She's been Project Manager and Transportation Engineer for various bus priority and cycleway feasibility studies for Auckland Transport, and finds it specially rewarding to see a project she's worked on at concept stage finally constructed or implemented. 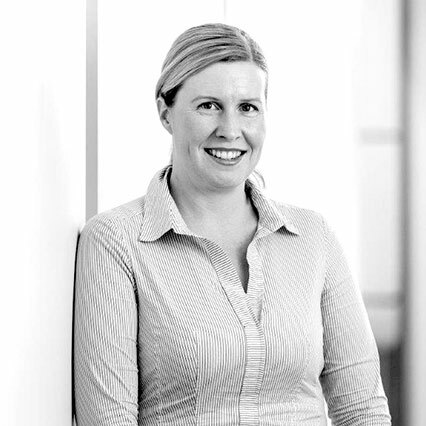 Meredith holds a Bachelor of Civil Engineering (Hons) and is a Chartered Member of Engineering New Zealand. 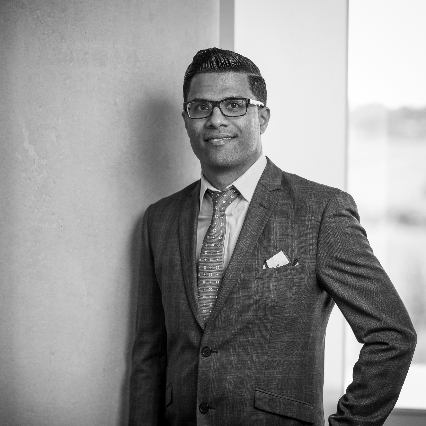 Pravin is committed to ensuring our clients’ requirements are always met by developing strong relationships and providing a high level of service and high quality advice. With over 30 years’ experience in the traffic and transportation industry, he's one of our senior experts working across transport planning, cycle facility planning and design, traffic engineering, economic evaluations, road safety auditing, and traffic impact assessments. Pravin's a keen recreational (and commuter) cyclist. So it's no surprise his dream project is to develop a sustainable transport system for Auckland - without political and financial constraints. David’s responsible for managing and delivering traffic and safety improvement projects for HG. His expertise spans advising and assessing traffic engineering and transportation aspects of projects from inception through to construction. 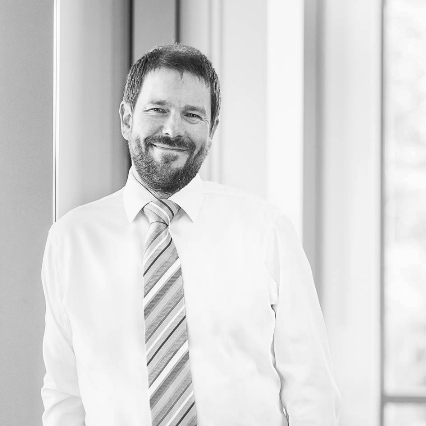 David also has extensive experience in advising on Resource Consent applications, including preparing evidence and attending hearings, mediation discussions and Environment Court procedures. A career highlight was being part of the Board of Enquiry which approved the Transmission Gully roading project in Wellington. He has also been on resource consent panels for major projects in Christchurch as part of the continued development of the city’s infrastructure. 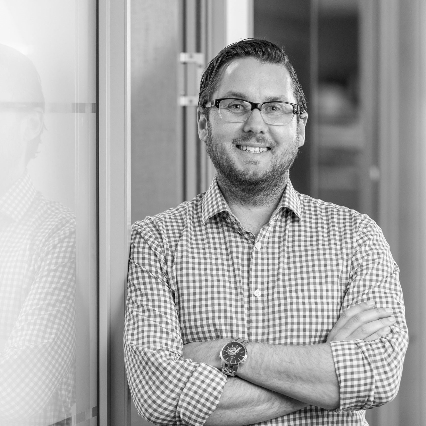 Nathan’s one of our go-to experts for traffic impact assessments, road safety audits, intersection modelling assignments, economic analysis, and roading design projects. He’s also worked on a number of bus priority projects in Auckland involving route reviews and bus stop upgrades, as part of Auckland Transport’s move to a simpler and more integrated public transport network. Will has experience in both engineering and engineering project management for the delivery of private and public infrastructure projects. With a strong focus on client side thinking, he enjoys understanding all aspects of projects while building strong professional relationships with the people involved. A keen golfer, Will is often called on to play a round as part of HG's golf team. Based in our Tauranga office, Sarah is busy establishing an HG transportation team in the Bay of Plenty. 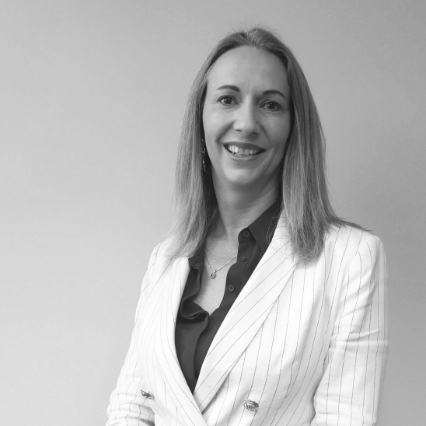 Sarah has 14 years’ experience in the transportation industry; since 2010 in NZ and previously in the UK. Her experience has focused on transportation planning, but she's worked on a variety of projects from traffic and transportation studies to business cases. Her passion lies in the sustainable transport space, and the interaction between transport, land use and communities. Sarah is a Chartered Member of the Institute of Logistics and Transport. She's also a member of the Engineering New Zealand Transportation Group committee for the Bay of Plenty-Waikato. Sarah spends her spare time chasing around after her two young girls, running a pre-school music session, and escaping up Papamoa Hills or The Mount when she can. A civil and structural engineer for 20 years, Bevan’s a ‘people person’ who believes collaboration achieves great results. Bevan’s worked for large infrastructure asset owners, engineering design consultants and construction contractors, heading up business units and multi-disciplined teams across many different fields. Before joining HG, Bevan was project manager of stage one of the new domestic terminal at Auckland Airport. He has a Bachelor of Engineering (Civil) (1st Class Hons), University of Auckland and a NZCE (Civil) Unitec. Andrew brings with him a wide range of skills and experience including raft guiding, white-water kayak instructing, search and rescue, ski patrolling, as well as offshore surveying for oil and gas, land reclamation surveying, cable route surveying and cadastral surveying and land development in NZ. Andrew manages a small team of surveyors in undertaking survey and land development work, while liaising with clients to understand their needs and keeping them up-to-date with their projects, and ensuring the designers provide the best outcomes for each project. He is particularly proud of the Rangitahi project, which is on-going, building a bridge, upgrading a road and building a 100 lot subdivision. Andrew’s dream project is to work on large scale land development projects, from the planning stage to the issue of titles. Andrew keeps busy with three young and very active children, and enjoys fishing, mountain biking and camping with the family. 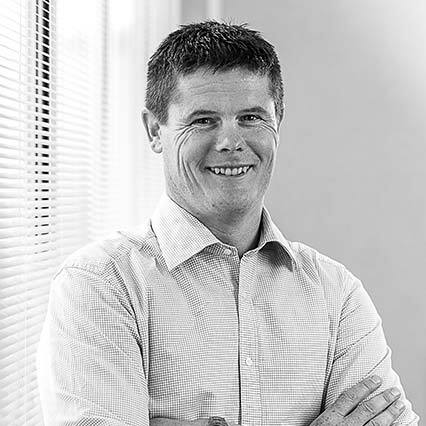 Scott is a Chartered Professional Civil Engineer with over 20 years of experience, the last 15 of which have been spent in the Waikato looking after the infrastructure elements of a variety of land development projects. Now Engineering Manager for the growing Hamilton Office, Scott’s main area of expertise is stormwater management, including wetland design and low impact solutions. Scott is a keen believer in effective Project Management and open and up front communication being key factors in being able to deliver on promises to clients every time. Scott takes great pride in being involved in key local projects that improve the community he lives in, and his involvement in the challenging and successful Victoria on the River project and the development of the upcoming Rototuna Town Centre (both in Hamilton) are his key project highlights (so far). Outside of work Scott is an occasional runner, loves going to movies and concerts and playing soccer. A chartered civil engineer with over 30 years’ international experience, Steve joined HG from Tanzania, where he was country manager for a multinational company. 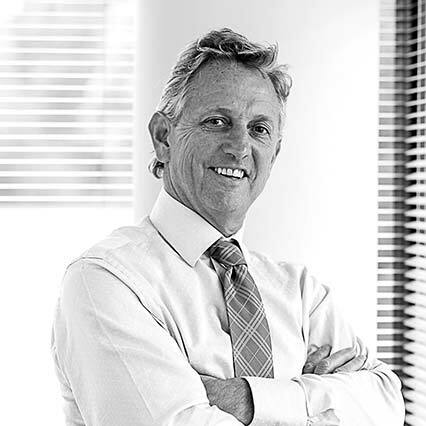 Previously, Steve’s held top management roles in water and transportation, leading large teams for global companies in NZ, the UK, United Arab Emirates and South Africa. Steve is responsible for our three teams with expertise across the entire water cycle, including Infrastructure, Water & Wastewater, and Water Resources. Dr Deborah has a PhD in physical chemistry and an impressive background in the water sector, spanning 24 years. She’s worked with public and private organisations in NZ, Australia, the UK and the Pacific Islands. Deborah’s held senior management roles for Watercare in water operations and water planning. 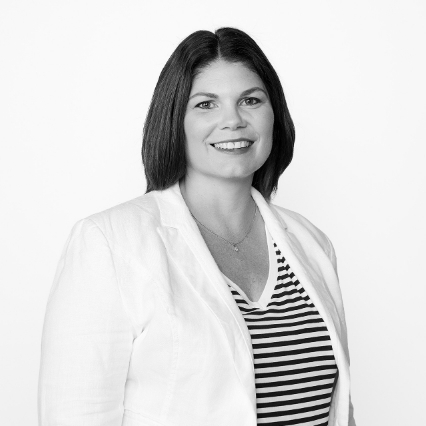 Before joining HG, she was Manager, Strategy & Performance at Queenstown Lakes District Council. Multi-talented, Deborah’s also a theatre director, producer, actor and singer. Greg describes himself as a facilitator of change, helping clients to achieve their objectives. A specialist programme manager with over 20 years’ experience in both the United Kingdom and New Zealand, he’s delivered a diverse range of programmes for a variety of organisations - including Christchurch City Council, where he was Programme Manager for its $1 billion insurance programme. Greg’s expertise includes insurance process improvements, PMO establishment, infrastructure and disaster claim management, and IT, infrastructure and asset portfolio programmes. He also specialises in project direction and negotiation/facilitation. 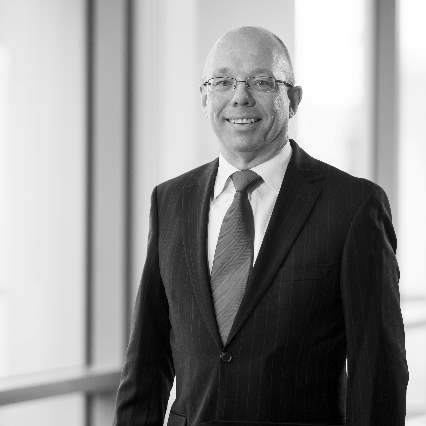 Greg operates nationally from our Christchurch office. He has a Bachelor of Arts and is a Prince 2 Registered Practitioner. Peter’s a mechanical engineer specialising in building services with more than 20 years’ experience in New Zealand and London. His specialist expertise includes mechanical services (HVAC) and fire protection services design, as well as project leadership. Peter is well known in Wellington where he was Project Leader and Mechanical Engineer on the long running and complex NZ Post House project. He was also Project Leader and Lead Mechanical Engineer for the energy efficient retrofit of the historic Te Puni Kokiri House in Lambton Quay. Nanna is passionate about creating a diverse and inclusive culture with a focus on high-performance and innovative solutions. At Harrison Grierson, Nanna leads the People & Culture team and is responsible for the strategic and operational delivery of our employee experience. She has led a number of change, reward and recognition initiatives, as well as implementing the company's wellness programme. With 15 years' experience, Nanna has worked in HR and Recruitment for both the private and public sectors in New Zealand and London. Jo is a well-known and highly regarded Chair and Board Director. She is currently Chair of Northpower Fibre and of Maritime New Zealand, a member of the Auckland Museum board and Principal of Leaders for the Future. She is the founding Chair of the Taitokerau Education Trust in Northland. A former Chair of Landcare Research, a director of Housing New Zealand Corporation and HLC, Jo has also been CEO of the Northland Regional Council and of the Auckland Regional Council. Renata is of Ngati Whatua and Tainui descent with governance experience on the Ngati Whatua Orakei Trust, Eden Park Trust and the Independent Maori Statutory Board (IMSB). He has extensive commercial experience through his company Strategic Pathways, which was involved in the 2011 Rugby World Cup and the America’s Cup and through his governance roles and senior leadership roles within his tribe. Lauren is a digital transformation specialist and has been at the forefront of technology innovation in North America, Europe, the United Kingdom and Australia, returning to New Zealand in 2018 after a successful 19-year international career. Vicki’s an award-winning programme manager and the former Acting Chief Information Officer at Christchurch City Council. Known for her pragmatic and outcome-focused approach, Vicki’s had 20 years in project, programme and portfolio management across technology, business transformation and local government. Her specialist background in strategic and high-value projects adds further depth to our highly talented Advisory Services team. 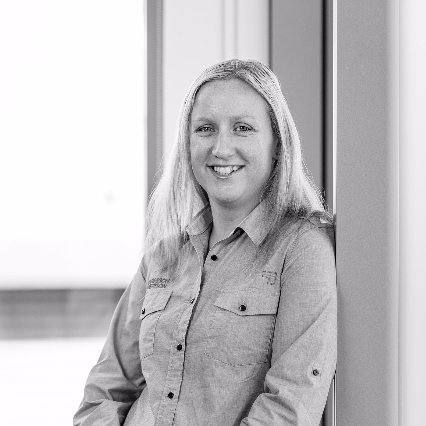 Vicki has a BRS (Hons) in Resource Studies and is a member of the Project Management Institute of New Zealand. She’s the founder of the Christchurch PMO Interest Group and operates nationally from our Christchurch office.